Following the design traits of the Tour World 747 drivers, the Tour World 747 FW also pursues explosive distance by attaining high launch and low spin characteristics from lower and deeper CG of the head. Tour World 747 FW 3 wood and High Launch (HL) models both employ carbon crown for and places the saved weight in the sole to lower the CG. The 3W has a 9g weight screw towards the back of the sole as well as internal weighting of 20g for lower and deeper CG. The face is made of high strength stainless steel for the ball to come off fast at impact. 5W and 7W are both constructed of SUS630 stainless steel. Sized at 183cc and 182cc respectively the 3W and HL heads are right about the maximum size that would still appear attractive to better players. To the mid-handicappers, the slightly larger size would certainly provide added confidence at address. The head has a traditional shape like the drivers and appeals to the athlete players of all abilities. The face height is mid-shallow which will help pick up the ball off the deck but still deep enough to safely be used off the tee. Honma really knows how to design a nice head shape that makes sense from a players’ perspective!! While the 3W aims for explosive distance, the 5W and 7W are geared for pinpoint accuracy to carry your ball high to the green. The Tour World 747 fairway woods all come standard with the VIZARD for TWT747 shaft but for a small upcharge, you can get the VIZARD FD or FP just like the driver. As always, if you have other shafts in mind, TSG Pro shop can recommend other aftermarket shafts to meet your needs. The Tour World 747 UTs were designed to be a “strategic” utility club to aim at the pin directly. The head is constructed of SUS630 which produces high initial ball speed along with a pleasing sound and feel preferred by players. The head shape is optimized based on feedback from professional players. It is a confidence inspiring and stable looking shape. Players are easily able to initiate their take back at a straight line. Honma was also successful in lowering the CG for this UT by shortening the hosel length by 5mm. Combined with further optimization of the internal weighting, they were able to increase the launch angle by a whopping 2 deg. This high launch angle is important when you are trying to catch the green at a steeper angle of descent even from 200+ yards. 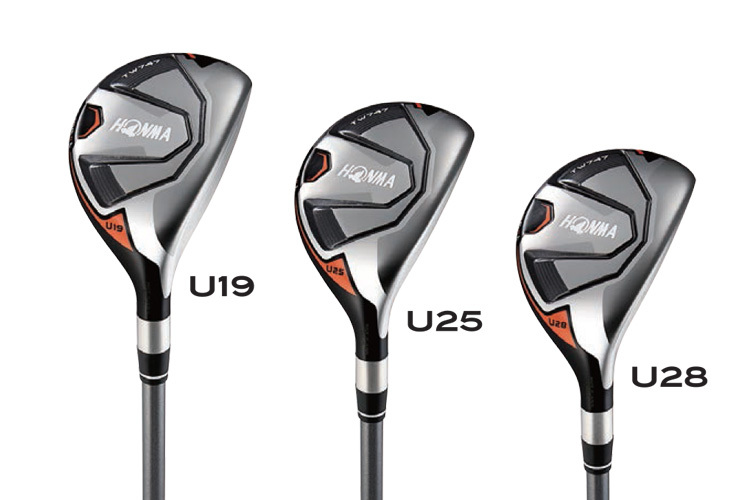 Honma wants players to replicate what Tour players do with longer approach shots using their utility clubs. Reach the green for more birdie opportunities. Honma put a lot of thought in engineering the shape of the sole to optimize turf interaction like they do with their irons. They made sure that players can hit the utility with a down blow like an iron shot. The result is a utility club you can always trust to confidently “go for the green” when your competitors are laying up. 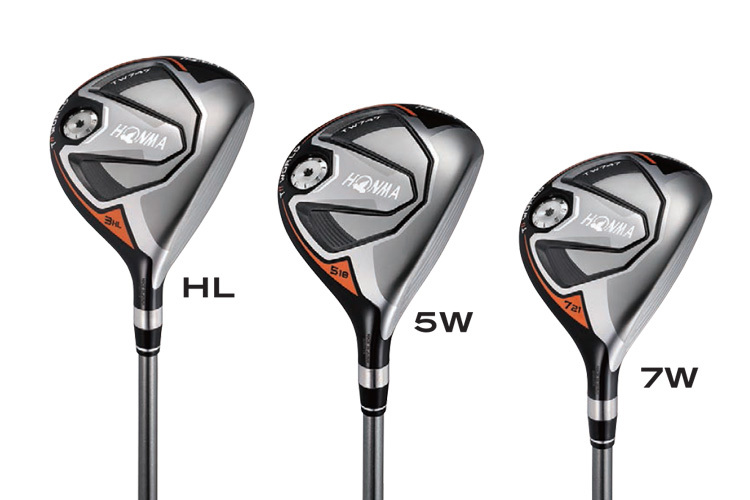 Honma Tour World 747 UTs are available in 19, 22, 25 and 28 deg lofts. The standard shaft choices are the VIZARD for TW747 for 50, VIZARD UT-H (70g to 100g) or NS Pro 950GH. If the standard shafts do not quit your needs, TSG can help build a custom club with other aftermarket shafts available through the Pro Shop. As with the drivers, the entire TW 747 range of woods have successfully designed the clubs to appeal to an expanded audience with a wider range of skill levels. With the right set up, the TW 747 woods can easily be used by high to mid handicappers while maintaining a players shape and playability to appeal to the traditional Tour World audience in the mid-to low handicap range. Tour World 747 release is slated for mid Nov 2018.